Before the digital accessibility of today's water resistant action cameras, there was the 35mm format wonder, The Nikonos Calypso. Many are familiar with this analog, water photography staple. Generations of photographers grew up cutting their teeth for surf photography wielding these water tight beauties. 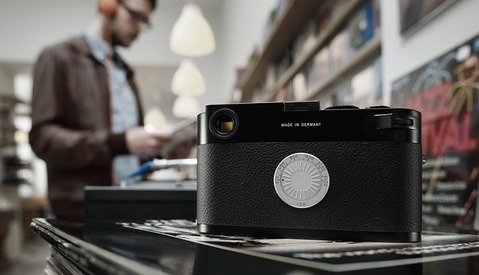 The cult following of the fantastically simple camera has produced catalogs of breathtaking imagery, iconic of an era. The Nikonos Project has been a driving force in maintaining the modern revival. The young project encourages incredibly talented surf photographers to hang up the digital gear in favor of a less forgiving, more rewarding form of capture. The Nikonos Calypso Camera comes from a distinguished water photography lineage. As a successor to the Calypso Camera, it was designed in partnership with noted aqua-documentarian and explorer, Jacques Cousteau. The revolutionarily efficiency and superior optics set a standard in underwater photography. The rugged, waterproof design allowed immediate access to the ocean environment. The interchangeable lens system accounted for refracting light underwater, the first of its kind. Nikon immediately recognized the potential of the Calypso Camera and purchased it from the original manufacturer, La Spirotechnique (now AquaLung), in 1962. The Camera remained in production for over 35 years with Nikon, producing five viewfinder generations and one SLR with autofocus. The third generation SLR in 1992 eventually led to a final production run in 2001; however, the Nikonos Camera quickly found a new demand; a secondary market for the viewfinder cameras began to blossom. Suddenly, a young generation of film aficionados took to the medium, continuing to capturing the beautiful coastal environments. In 2013, Brandon Jennings sold his digital cameras and set out to search for a more rewarding photographic pursuit. 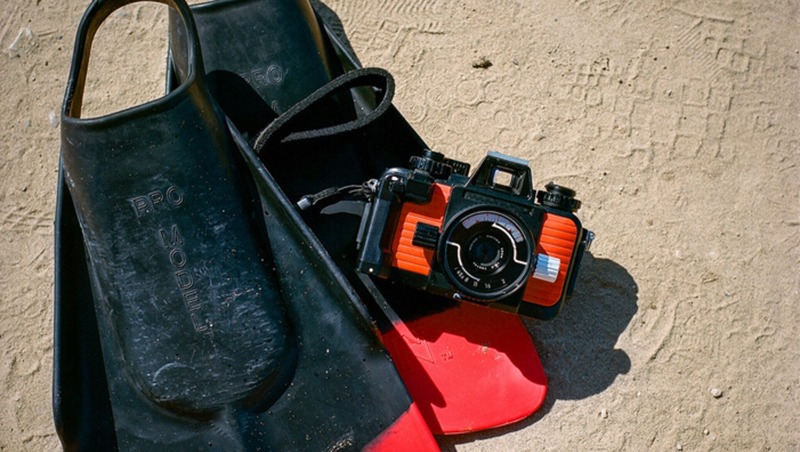 Jennings purchased a Nikonos IV-a on Ebay, took it for a swim and was immediately hooked. "That camera went everywhere with me." Jennings exclaimed, "One thing lead to another... I bought a few other Nikonos’, the II & V models, they were amazing..." Excited and anxious to share his new found passion for 35mm surf photography, Jennings bought another handful of Cameras and sent them to his friends. "I shipped them each a Nikonos and expected them to shoot it and report back. Some did it and loved it, Some failed completely and hated it. From that experience with those original 8 cameras the concept was born." 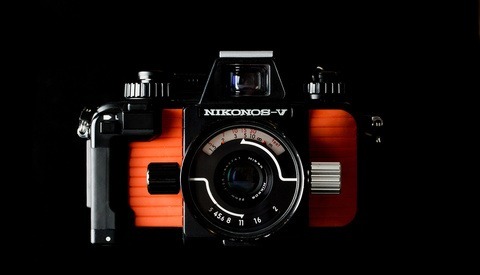 Nikonos Project is essentially a borrow & loan program fueled by a passion for film. Just as he did for the with those first 8 cameras, Jennings continues to send cameras to people to encourage an alternative approach to photography. A heavy advocate of the analog art, Jennings' affinity grows from the challenge and reward of the hard work associated with shooting film. 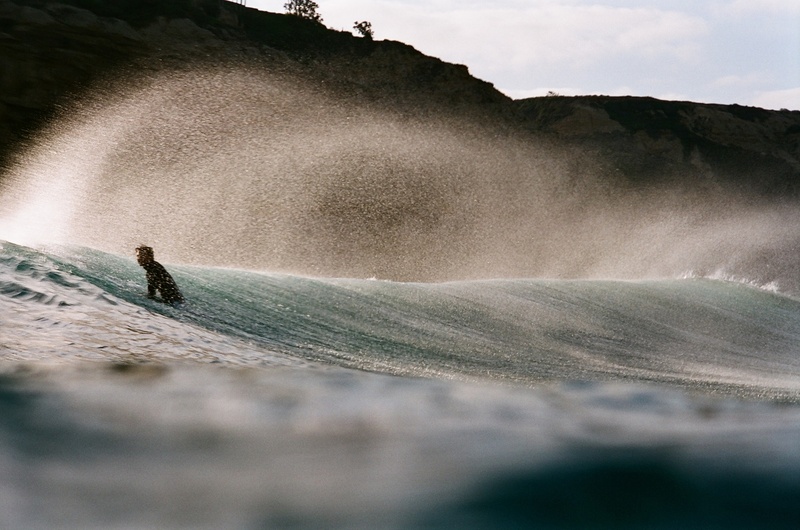 Combining an ocean environment, the challenges of surf photography and the fickle disposition of a hand crank film camera, the reward is much more satisfying. "Its real... The love for me is in the process and reward." says Jennings. 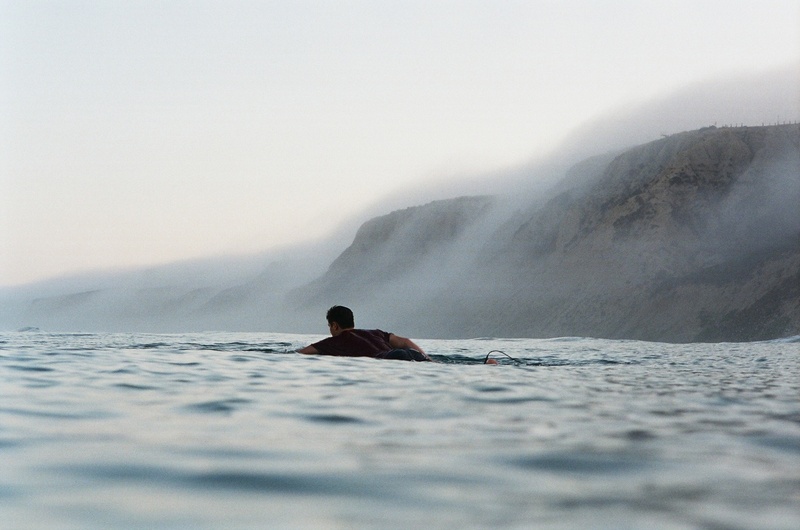 The encouraging, fraternal vibe of the project is exactly what surf photography needs. The love for film and the ocean fuels participants to share their work on social forums and Instagram using #nikonosproject. Nikonos Project, growing in popularity, features a number of insanely talented surf photographers who share Jennings' love for analog surf photography. 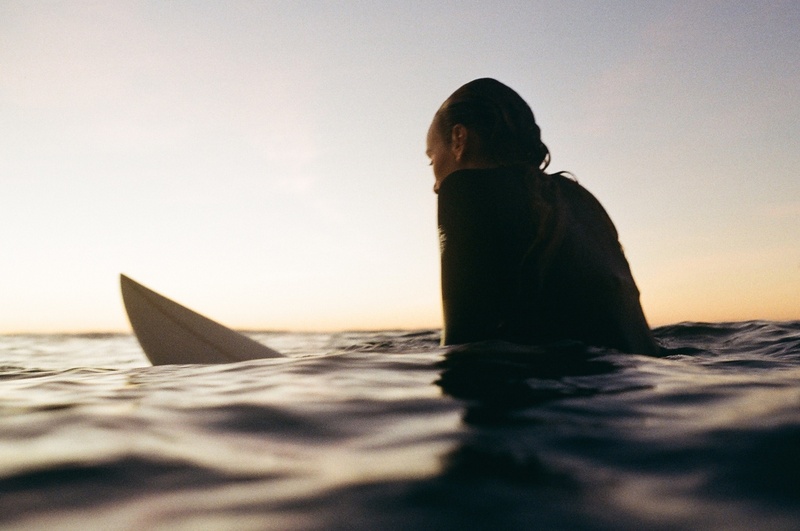 These shooters have an incredible ability to capture rich, timeless visuals of the surf lifestyle in a modern age. 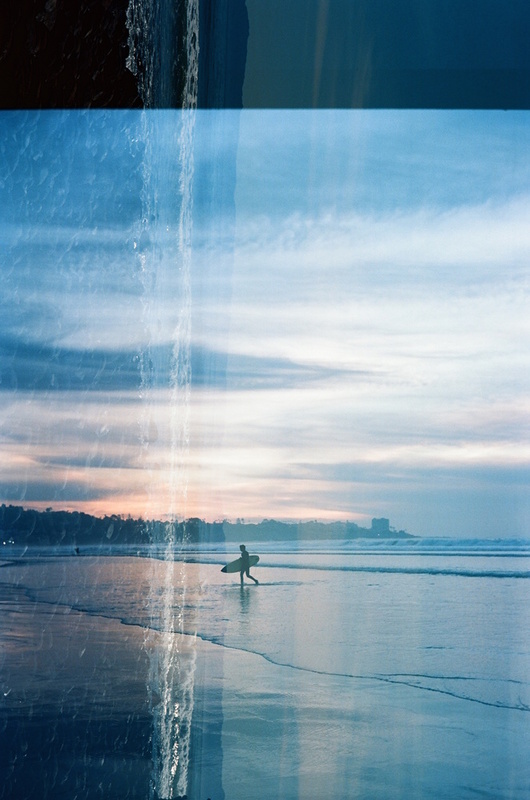 Photographers, like Megan Barrett (featured), have made a life of photographing coastal environments in lovably grainy 35mm film. "[My] focus is to capture the relationship between the ocean and the animals and humans that thrive in it. I am interested specifically in the play of light and water, and the texture and colors that come from the intersection of the two," says Barrett. 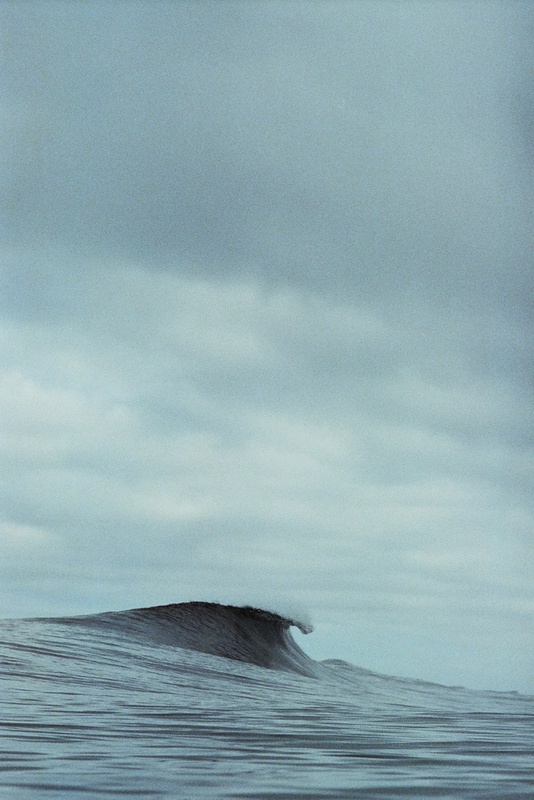 There is an elevated pride that comes with surf photography. A great shot is a memorable experience; the added factor of capturing the frame in the true fashion of 'exposure' makes the experience cathartic. Megan described a recent favorite surf capture (above), "...the photo I am most proud of, which came from one of those accidentally-in-the-right-place-at-the-right-time kind of moments. I had taken a few waves on the head on a bigger day at Blacks and looked back just as the sun was rising over the tops of cliffs, illuminating the spray coming off the back of the last wave, with a surfer enjoying the view." This photographic serendipity is the lifeblood of the Nikonos Project. Along with the existing challenges of shooting film and surf photography, the Nikonos camera is a unique machine unto itself. "The Nikonos is what's called a scale focus camera," Megan explains "which means that after you decide the aperture and shutter speed, you get to choose the your focus distance." Scale Focus Cameras lack a rangefinder and require a lot of guess work, particularly when shooting in fast apertures. The feature can create an incredibly difficult scenario when shooting on the rolling surface of the sea. "...there is a lot of waiting for a subject to come to you, unless you constantly want to be adjusting your focus distance," continues Barrett. "I love this feature personally, as it allows me to be creative with what exactly I want in focus, rather than relying on an AF camera to make the decision for me." The Nikonos Camera is imperfect, it offers many challenges. While it set a standard of how to create the perfect waterproof camera over 40 years ago, technology quickly passed it by. Today, most cameras incorporate only facets of Nikonos cameras; but the understanding of how light travels and is refracted in a water environment helped perfect underwater imagery from the Calypso beginnings. 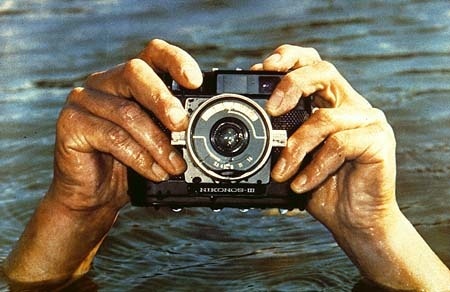 The Nikonos Project understands the historical significance in the evolution of surf and water photography. Along with the open encouragement to put a Nikonos in the hands of surf photographers, Jennings is intent on passing along knowledge on how to buy, operate the camera, and process film through the Nikonos Project website. His excitement is obvious and deep, "we aren’t here to prove anything, other than to ourselves. We can all grow and learn & be better than we were yesterday," Jennings says. The project continues to grow; so much so, there is now a wait list to borrow from a vast collection of Nikonos. I asked Jennings how people can get involved, his answer as simple and pure as his process "I’d just say go out and pursue what makes you happy." The Nikonos Project was built of the principle of sharing what you love. There is something beautifully inspiring in the photos surrounding the project. Dozens of photographers from all over the world create imagery that is individually unique; however, sharing a common property - the love of film photography and the ocean. OK Searching for one now! I want one of these, and I don't even live within 500 miles of the ocean. great. The ultimate GAS issue: moving to justify buying a waterproof camera. make sure to check out this analog video series! I still have mine sitting in a closet, it was my primary camera for years and went all over the world with me. I sure wish that someone would make a digital equivalent.